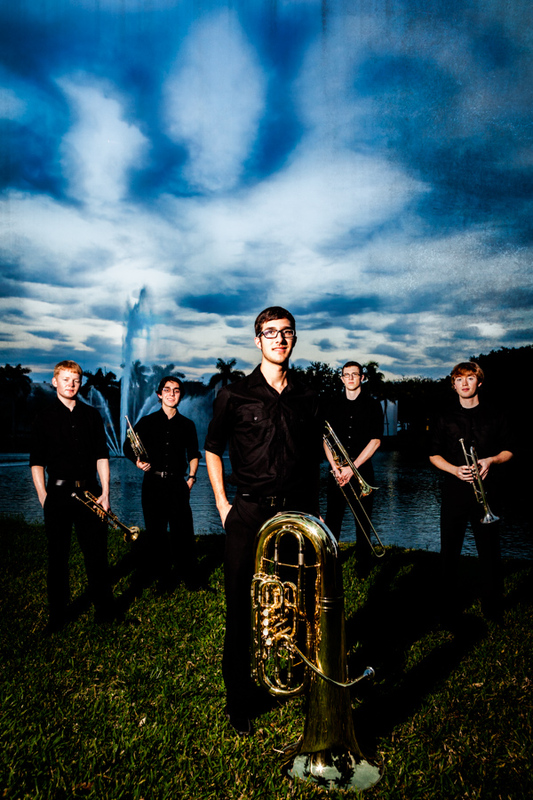 Yesterday Jenifer and I did some portraits of the Stamps Brass Quintet at the Frost School of Music. The group was fantastic fun to work with. We were limited to about 10 minutes to work with them, but since they showed up early and were ready to go, we ended up with almost 20 minutes before the next group arrived (pictures from Woodwind Quintet will be featured in another blog posting later this weekend). As such, we were afforded the opportunity to do something more than the requested “straight group shot” that will be used for the Frost School of Music website. 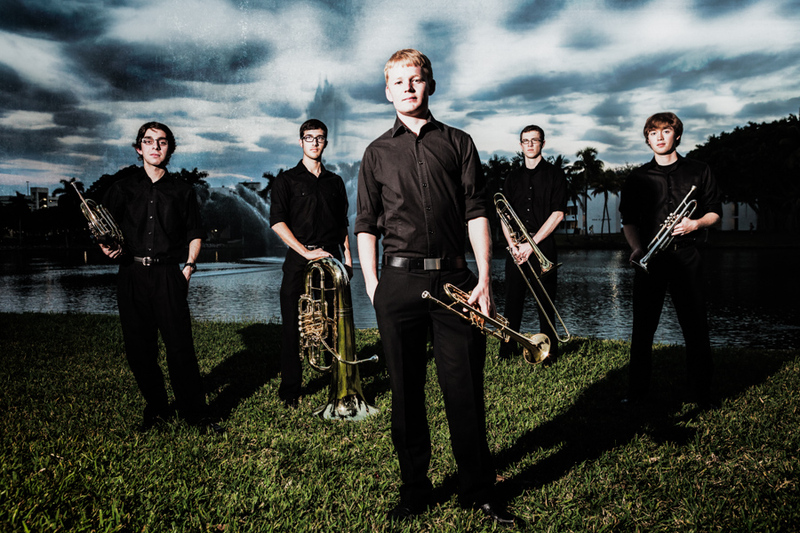 This entry was posted in Clients, Creative editing, Digital Photography, Frost School of Music, Music, Photography sessions, Photoshop, Portfolio and tagged Brass Quintet, Florida, Frost school of music, Miami, photography, photoshop, Shawn Clark, Stamps Family Charitable Foundation, versatile light studio. Bookmark the permalink.